In the 1860’s newspapers ranged from 1 old penny upwards per issue, however with a Labourer earning £36.04d, Policeman £53.94d, and a Teacher £93.76d PER YEAR an old penny was a huge amount of money. To buy or even to see a newspaper you had to be seriously rich or have rich friends who might let you look at their copy. In 1864 the local squire, Major James Spitty, with friends founded the Billericay Reading Rooms ‘to educate the working classes’ and ‘to aid the growth and improvement of the common man’. They agreed that periodicals, newspapers and books be purchased and placed in the rooms for perusal by all. With literacy so limited and no public libraries this was one of the few options for people to practise their reading. 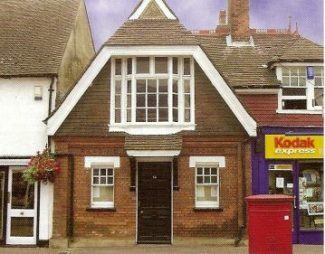 The Billericay Reading Rooms, 73 High Street, are one of the hidden assets of Billericay with buses, trains and parking close by. The early details of the Rooms appears to have been lost but we know that the current building replaced the original in 1886 with the Reading Rooms occupying only part of the building with the remainder being a cottage, now a shop. Even though the Rooms are in the High Street, opposite the Mary Magdalene Church with the large Clock on its tower, most people if asked will say sorry ‘I don’t know where they are’. In fact we were recently asked where the Rooms are by someone who works about 50 yards away. Some of the original Minute Books from 1864, in beautiful copperplate writing, can be seen and read at the Cater Museum across the High Street. These include the costs of the fuel used, fund raising events including public readings of books, probably Charles Dickens as the Rooms had a copy in their library, with musical accomplishments and admission charges of 1d and 3d. Also there is talk of a fine of 6d for every offence of smoking in the Reading Rooms before 6pm or you would be referred to The Committee. The Rooms held a good selection of newspapers, including the Standard, Times, Daily Telegraph, Chronicle, Herald, Punch, Illustrated News, English Mechanics, Building News, Weekly News and Essex Independent. The papers were available to read for a month and then sold to local people to help raise funds. At that time the Reading Rooms was just one room with a cathedral ceiling, lit by candles and a stove only lit in extreme weather. They must have read with their hats, coats and gloves on as any heat would have risen to the roof many feet above. In the early 1900’s the Rooms were open for ladies only on Wednesdays from 7.30am to 4.30pm, but this was stopped in 1906 – the reason was not given in the Minutes. However in the Minutes there are recorded complaints about rowdyism but whether these two things were connected is not known. Moving on to the 1930’s the Rooms were mainly Recreation Rooms with a billiard table, darts and similar pastimes with the purchase of periodicals and books being stopped and with the rooms being closed for long periods due to lack of finance. Later the books were sold off to raise funds – unfortunately one of the first issues of a Charles Dickens book disappearing at the same time – who knows where this is now? Problems with monies continued to be of concern, with the Room’s Committee becoming less active, the rooms less used and they appear to have closed for about ten years from 1951 with apparently no committee meetings held. In 1961 one of the Committee member, Mr. Horace O. Iles advised the local Rotary Club about their failing condition and it was decided that, as the Rooms were originally built by public subscription, they try to save them for the benefit of Billericay residents as such a valuable asset was to a large extent being wasted. A new enthusiastic committee was formed consisting of local professional people and other interested residents and organisations with the result that monies, including the proceeds of the Billericay Carnival be spent to carry out much needed works. 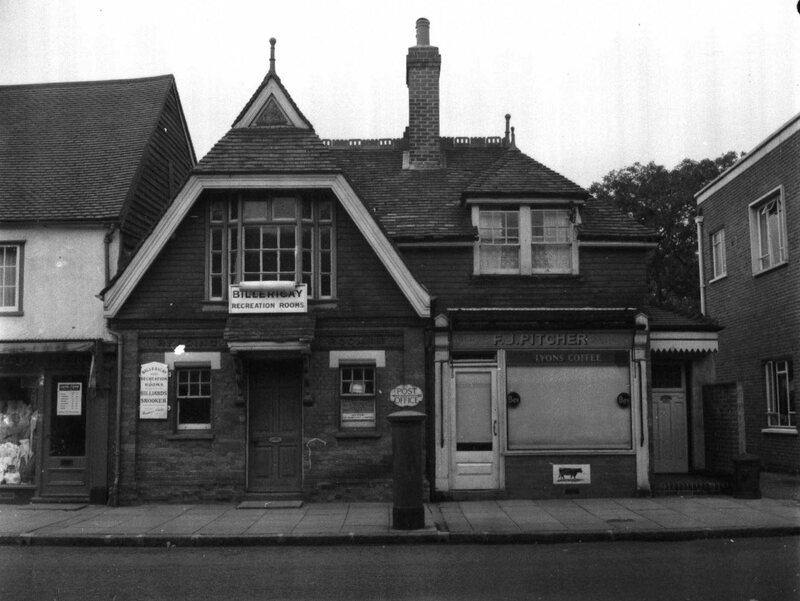 In 1965 the Rooms were registered as a Charity, the billiards were discontinued and the rooms were being used for local events but finance remained a major problem. In 2005 grants were obtained from many local and national sources for a major and much need refurbishment, to bring the Rooms up to 21st Century standards. These included the need for access for the less mobile/wheelchair users and a new ceiling in the original building to retain the heat and also to comply with the Health & Safety regulations. These changes were made whilst retaining many of the original features of the Rooms. The Rooms are now being used by many and varied organisations and people. Our main hall with kitchen are used for lectures by the Workers Education Association, for classes for groups including National Childbirth Trust, people with poor or minimal sight, meditation, holistic therapy, displays of local artwork, reflexology, plant sales, children’s parties and so much more. Also fund raising events for many and varied groups and of course most important the annual visit by Father Christmas in December. Then our Committee Room is used for smaller events by both public bodies and private groups. The current Management Committee is still made up by local professional people, organisations and fund raising groups who are dedicated to keeping the Rooms open and available for the local residents of Billericay to use and enjoy. Why not think about us when you are next holding an event? There is the website for the Reading Rooms or ring our Lettings Officer on 01277 657776 between 10am – 4pm Monday to Friday. If anyone has any more information about the history of the Rooms please comment on this article.